The affordable Acer beTouch E140 first popped up a couple of weeks back but this time it's not yet another rumor involving its name that caught our attention but Acer itself who has just officially it. 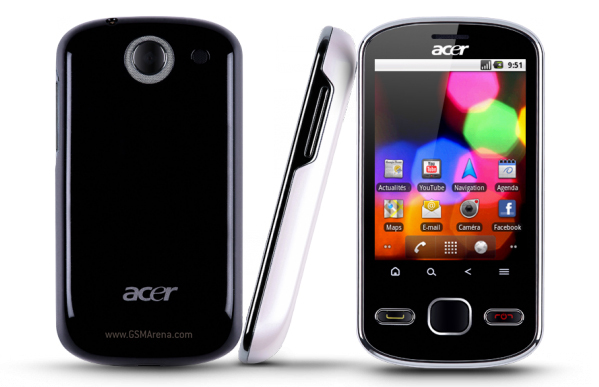 As expected, the Acer beTouch E140 runs Android 2.2 a.k.a. Froyo (which isn't the latest Android version anymore) and comes in a tiny little plastic shell with a 2.8" resistive touchscreen of OVGA resolution on the front and a 3.2MP camera (it's not clear yet if it packs autofocus but there is no flash for sure). The 200-euro smartphone also touts diverse connectivity options (including support for HSPA, Wi-Fi and Bluetooth), sports an inbuilt GPS receiver and is powered by a 600MHz processor. Sadly, Acer didn't say a thing about the E140 availabity.